FULLY REFURBISHED WITH GARDEN VIEWS !! HOME ESTATE AGENTS are delighted to bring to the market this larger than average one bedroom retirement apartment for over 60’s situated in the ever popular Braeside on the Stretford/Urmston border. 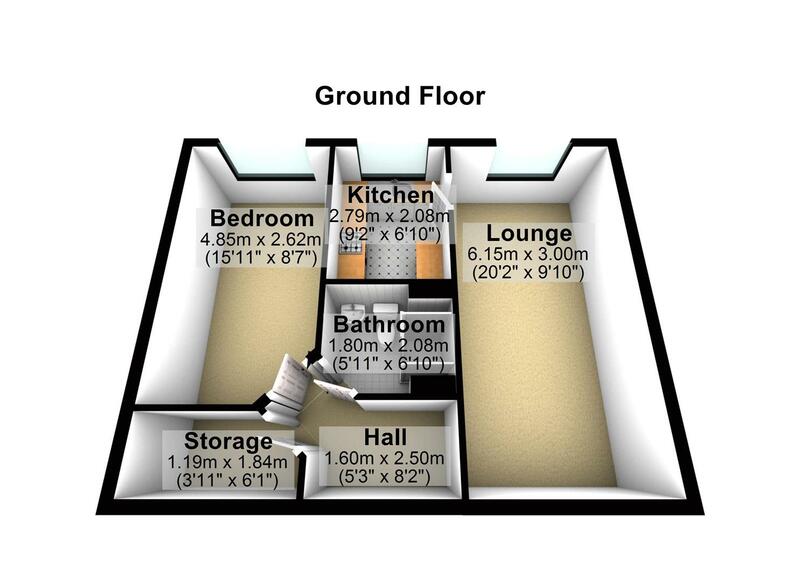 In brief the property comprises of a communal entrance and communal hallway, private entrance hall, 20 foot lounge/dining room, newly fitted kitchen, bedroom with fitted wardrobe and cupboard space, modern fitted three piece shower suite with double shower cubicle, storage/office room. The property is warmed by electric storage heaters and is fully UPVC double glazed. This very popular development has a lot to offer residents, there is an in house manager for your every need and a communal lounge which hosts a wide range of events including regular coffee mornings and games. There is also a laundry room and lift which takes you to all floors, a guest bedroom which can be booked by appointment for an overnight stay. There is a car park for visitors and also an option to have your own parking space in the private car park. Externally to all sides there are pleasant and well maintained gardens which you can sit out in, to the front of the property there is a bus stop which will take you towards the Trafford Centre and Urmston and the other way to Manchester City Centre, Chorlton or Stockport To view call HOME on 0161 871 3939. UPVC double glazed window to the side elevation, ceiling coving, electric fire and electric storage heater. UPVC double glazed window to the side elevation, newly fitted kitchen with good selection of wall and base units fitted with roll edge work surfaces incorporating a stainless sink with mixer tap, single oven, ceramic hob, stainless steel extractor hood with matching splash back, integrated fridge/freezer and dishwasher, tiled splash backs ceiling coving and electric plinth heater. UPVC double glazed window to the side elevation, fitted wardrobes, ceiling coving and electric storage heater. Three piece fitted shower suite comprising of, double shower cubicle fitted with electric shower, back to wall low level w?c, matching vanity sink unit and tiled to compliment. To the front of the property is car park with beautiful lawned gardens and mature shrubs leading down the side, to the rear is a further car park with garden areas.